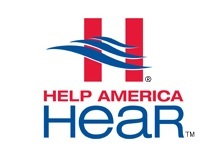 Last month, ReSound participated in the 25th Help America Hear mission to provide hearing aids to individuals pre-selected as “in need.” The “Mission to Rediscover Sound” took place on March 25 in Orlando, FL, where audiologists from all around the world were coming together for the AudiologyNOW! convention. Approximately 20 people were fitted with hearing aids, completely free-of-charge. These individuals had been selected based on eligibility criteria specified by the Help America Hear program. Bethany Borin, a young mother of three was over the moon to be chosen for the mission. Her current aids were outdated and barely working but she simply had no money for new ones. When it came time for Bethany’s fitting she could hardly contain her excitement. The Audiologist placed her new ReSound hearing instruments into her ears and the second the hearing aids were turned on she immediately broke into tears and said “I just went from hearing nothing, to hearing everything”. It was a moment that brought every person in the room to tears because they also knew that every aspect of her and her children’s lives was going to improve from that moment on. “I’m just so thankful that there are companies out there that really care about people…. because sometimes, going through everyday life, you just feel like nobody cares,” said one Help America Hear mission participant. “We felt that ReSound was a company that had the desire to give back or pay it forward in the community in general and be a good corporate citizen,” said Mitch Shapiro, Foundation for Sight and Sound. “We’ve been very blessed as a company over the last few years of having very rapid growth with outstanding products….. and we feel an obligation to be able to provide this technology to those in need,” said Paul Martin, ReSound. The following video was filmed during the mission in Orlando. We witnessed tears of joy as participants were fitted with their new ReSound hearing aids live on camera. This entry was posted in Charity and tagged AudiologyNOW!, Foundation for Sight and Sound, Help America Hear. Bookmark the permalink.